The waterfront icon is the first Singapore project and only the second project outside of the USA in ten years, to win the top award at the American Academy of Environmental Engineers (AAEE)’s Excellence in Environmental Engineering Competition. Marina Barrage, Singapore’s latest waterfront icon was conferred the Superior Achievement Award - the highest honour of the competition for the best project entry – at the AAEE Annual Awards Luncheon held in Washington, DC, USA yesterday. 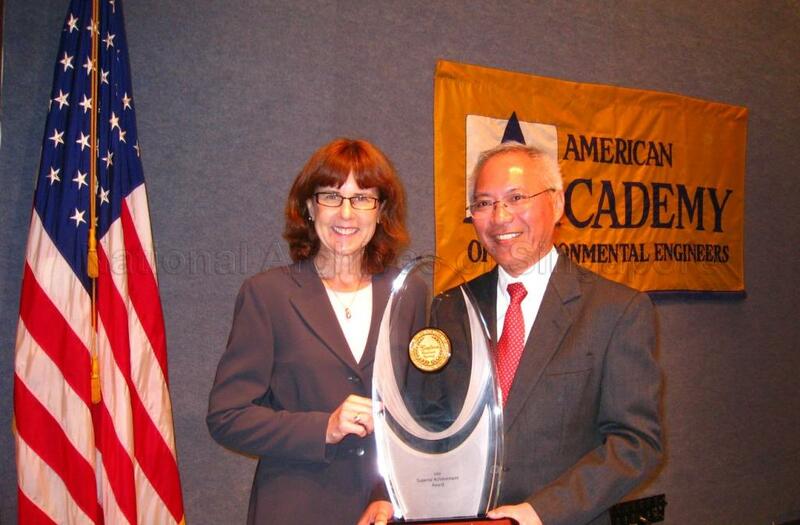 Widely considered to be the most prestigious of professional, peer-recognition awards focused exclusively on the environmental engineering field, the award defines the best in environmental engineering practice: a holistic environmental perspective, innovation, proven performance and customer satisfaction, and contribution to an improved quality of life and economic efficiency. The Marina Barrage beat 33 other entries to take home the top prize in this year’s competition organised by the American Academy of Environmental Engineers (AAEE), becoming the second project outside of USA to win the award, in the last decade. Conceptualised and managed by PUB, the national water agency of Singapore, the Marina Barrage spans the southern end of the Marina Channel, which opens out into the sea. More than just an ordinary dam, the Barrage is a unique engineering masterpiece that fulfills three purposes for Singapore. It boosts Singapore’s water supply by creating Singapore’s 15th reservoir and its first reservoir in the city centre. The barrage also acts as a tidal barrier to alleviate flooding in the low-lying parts of the city such as Chinatown and Little India. With water activities and river cruises made possible by a consistent water level all year round, the reservoir is set to become the city’s latest lifestyle attraction. 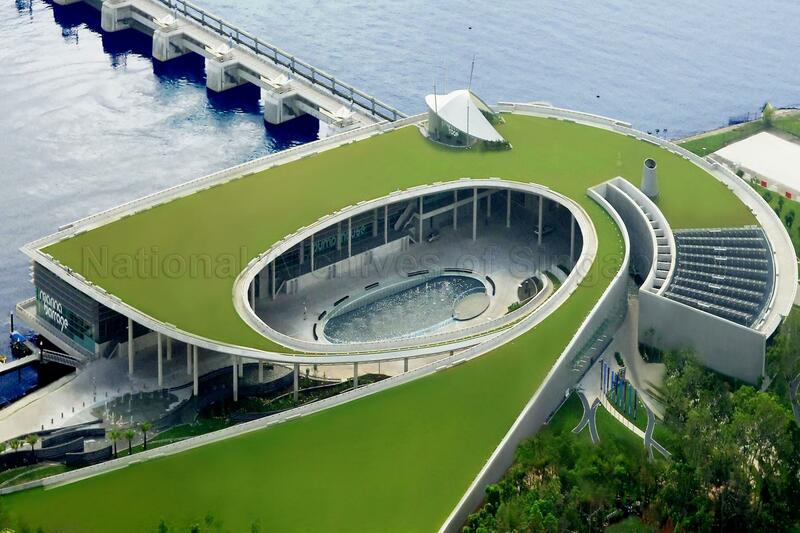 “The Marina Barrage is a showcase of urban water sustainability. By going beyond water supply and flood control, the Marina Barrage demonstrates how an urban water solution can be effectively utilised to meet water needs and at the same time, enhance the living environment for a better quality of life. This is important, as cities continue to grow and urbanise, they will require water solutions that can be sustained for generations to come,” said Mr Yap Kheng Guan, PUB’s Director of 3P Network and Project Director of Marina Barrage, who received the award on behalf of PUB at the luncheon. Apart from creating a freshwater lake ideal for water activities, the Marina Barrage is also a lifestyle destination in itself. With a view of the city skyline, the grass-turfed roof provides a unique space for community events. Since its opening six months ago, the Marina Barrage has been a hive of activities, with more than a quarter million visitors and host to more than 40 local and international events, including the National Day celebrations for the last two years and the 2009 New Year’s Eve Countdown Party. Come next year, it will also be the venue for the rowing and canoeing competitions of the 2010 Youth Olympic Games. “The Marina Barrage clearly fulfills all of AAEE’s stringent criteria for recognition,” added Dr Brendan M Harley, Senior Vice President of CDM, the project consultant for Marina Barrage. “We join PUB Singapore in our deep appreciation for being selected by our peers for this Superior Achievement Award. What’s most gratifying, though, is seeing Marina Barrage at work every day, creating an important urban freshwater reservoir, protecting the downtown area from severe flooding, and enhancing Singapore with a new lifestyle attraction. “The Superior Achievement Award is a fitting tribute to years of visionary planning and engineering collaboration between PUB Singapore, CDM, and the many contributing parties who helped realise the project’s successful implementation,” he said. The award from the AAEE is the latest in a string of accolades that the Marina Barrage has garnered in the last 2 years. In 2007, it clinched the Institution of Engineers Singapore Prestigious Engineering Achievement Award and the ASEAN Outstanding Engineering Achievement Award. More recently, it was bestowed the Grand Conceptor award - the overall grand prize - at the American Council of Engineering Companies of Massachusetts’ 2009 Engineering Excellence Awards. Reaffirming its status as a showcase of urban water sustainability around the world, the Marina Barrage also made its international broadcast debut on Discovery’s Channel’s much-watched ‘Man-Made Marvel’ series in August last year. “The Marina Barrage is a symbol of Singapore’s success in water management. With three functions fused into one facility, it exemplifies PUB’s integrated water management approach, and more importantly, the foresight of our leaders in planning this engineering feat. We are excited about the transformation it will bring to Singapore’s waterscape and hope that the community will work with us to make Marina Barrage a success,” added Mr Yap. The competition, which began in 1989, is open to all organisations and companies around the world, and the International Water Association (IWA) will recognise winners from this competition as automatic entries in its 2010 biennial Project Innovation Awards.